Click on the picture above to see a video by Neil about The Magna Carta Fountain sculpture. For the year 1995, Egham District Council had decided to celebrate the 790th anniversary of the signing of Magna Carta that took place in 1215 in the nearby fields of Runnymede. They approached the directors of the Burleighfield Foundry, the best bronze foundry of the day according to the Tate Gallery when I asked them, and I’m delighted to say that they recommended me as the sculptor of choice. I was to design a water feature complete with words from the Magna Carta and including a copy of King John’s crown and a Knight’s helmet. 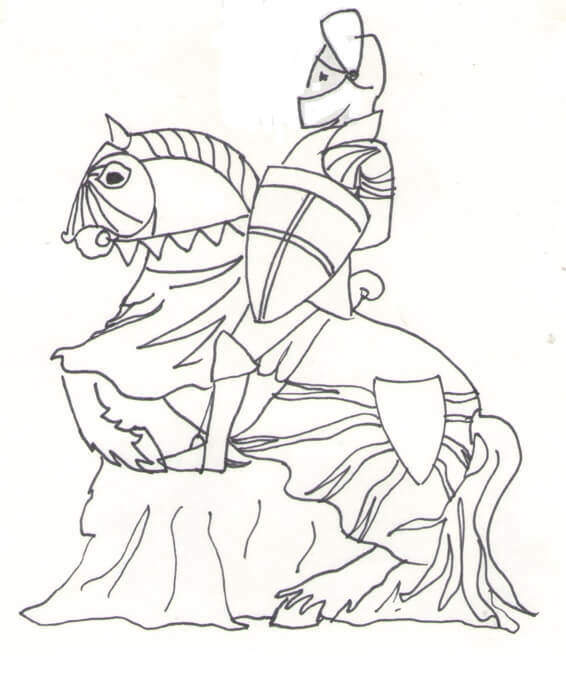 We actually designed a couple of possibilities, one included a Knight on horseback, which you can see in the drawing below, which sadly wasn’t chosen. It was drawn by my then wife, Auriol. In due time though, we had our ‘Magna Carta Fountain’ drawings signed off and we made the scroll and chose suitable words from the charter with which to adorn it. One major problem was, what sort of crown did King John actually wear? So far as anyone knows, it is still in the Wash, under the sea, off Norfolk having been lost on that infamous journey. In any event, I eventually found King John lying in Worcester Cathedral with a crown on his head and I copied that one. It is behind the scroll so you can only see it properly in the video. The Master of the Rolls, who is England’s most senior judge, ceremoniously and dutifully unveiled the sculpture and we had been fortunate enough to be part of another Great British historical event. 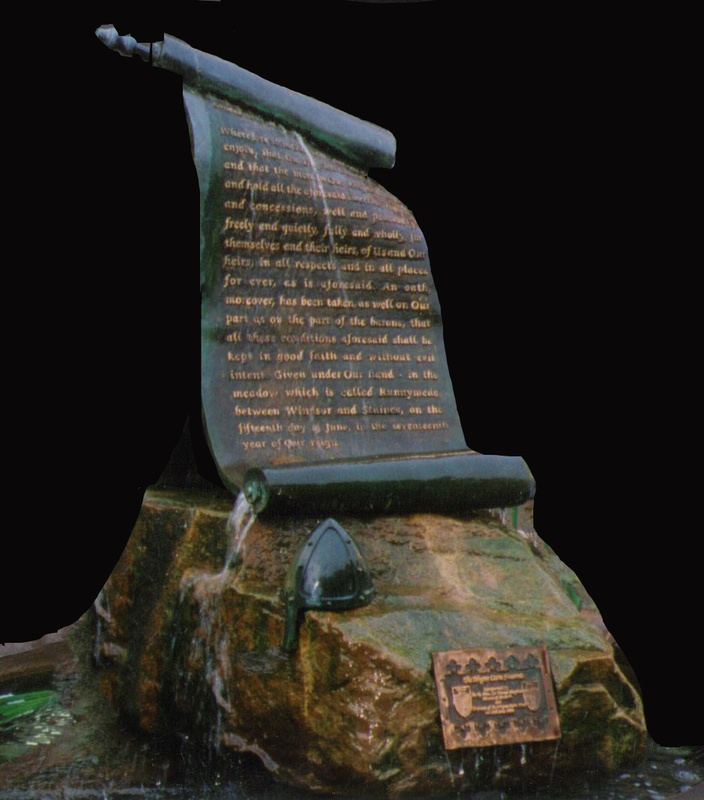 A water feature designed for Egham High Street to commemorate the signing of The Magna Carta. Hydrodynamics by Watermark of Rochester.